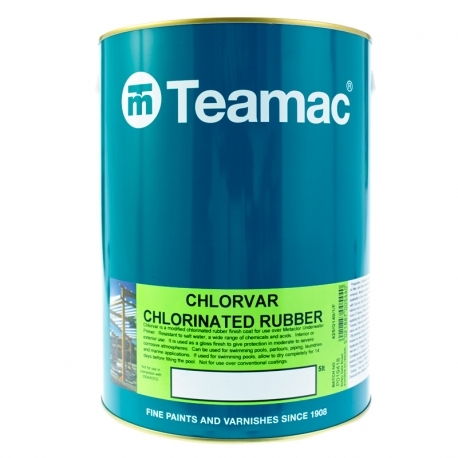 Teamac Chlorvar Chlorinated Rubber Paint is a versatile product to provide outstanding protection against chemicals, acids and aqueous solutions on metal, wood and asbestos. Teamac Chlorvar Chlorinated Rubber Paint is a modified chlorinated rubber finish coat for use over Metaclor Underwater CR Primer, also available from Rawlins Paints. One of the reasons why it is such a versatile rubber paint is that it is resistant to salt water, and a wide range of chemicals and acids. 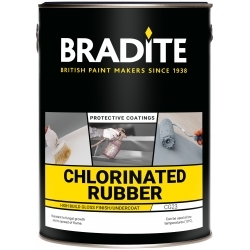 Often used as a gloss finish, Chlorvar Chlorinated Rubber Paint will give protection in moderate to severe corrosive atmospheres. Before application, all surfaces should be clean, smooth and any damage or loose materials fixed and removed – this includes stains, algae, mould and oil. It is also advised that prior to application, the moisture content of the concrete surface should be below 14%. To create a good key for the paint, concrete and render needs to be treated with an acid etch. Coo-Var have a suitable product for this, and it will remove any dirt and laitance from the surface prior to painting. The surface will also need priming before any un-thinned coatings are applied. To do this, apply a thinned coat of Teamac Chlorvar (approx. 10%). If the surfaces have previously been painted with this product and are in good condition, then a thorough cleaning, along with a roughening up of the surface will help the fresh coating to adhere better. If the surface has ‘perished’ coatings of Chlorvar, it is advised to remove and strip back the coating, mechanically, and the fresh coat treated as a new substrate and applied as above. Always mix this product well before use and where possible provide adequate ventilation in confined spaces, both during the application and drying periods. Further information is available in downloadable data-sheets from the manufacturer, Teamac. Please note: Not to be used over conventional paint systems as there may be compatibility issues, test a small area first before full application. Look at our blog post on How to Paint a Swimming Pool with Teamac Chlorvar Chlorinated Rubber Paint. I am quoting for a battery room floor, the existing paint has flaked in places and needs stripping off and repainting can you tell me what materials I need to repaint. The floor area is 27 square metres. Your advice would be appreciated. Regards, Les O'Neill. Assuming you wish to protect the floor from Sulphuric Acid our 310 Chemical Resistant Coating would be our recommendation. This offers excellent resistance up to 99% concentrate of Sulphuric Acid. Remove all of the existing failing coating, prime the concrete floor area with 1 coat of 401 Epoxy Floor Primer followed by 2 coats of 310 Chemical Resistant Coating. Based on 27m² you would require 10kg of 401 Epoxy Floor Primer and 20kg of 310 Chemical Resistant Coating. There isn’t an exhaustive list of what the Teamac Chlorvar Chlorinated Rubber can be applied, but we believe adhesion to EVA would be poor without pre-treatment. If you can advise what options you have as an alternative for the Teamac Chlorvar Chlorinated Rubber to be applied to we can advise suitability. Our recommended specification for swimming pool walls and ceilings (not in the pool itself) is to prime first with Zinsser AllCoat (Solvent-Based),followed by 2 coats Zinsser Perma-White Interior - do not thin either product. Question: Is this paint heat resistant,as the acid in the tank we need to paint has a working temperature of 70 deg c.thank you .if it doesn't do you have a rubberised acid resistant paint that does? Teamac Chlorvar Chlorinated Rubber Paint would not be suitable for this application. 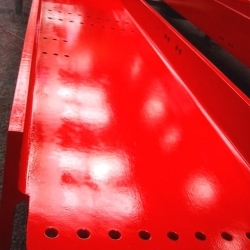 If you contact our Technical Department with the concentration and type of acid we should be able to offer a suitable coating. SikaCor EG 5 is a two-pack topcoat based on polyurethane with good gloss and colour retention. By adding 1% b.w. of SikaCor PUR Accelerator (see product data sheet for more information) a faster touch-drying and full curing will be achieved. 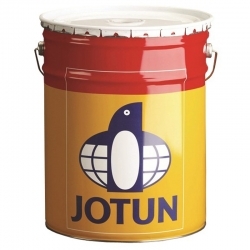 Jotun Hardtop XPF is a two component chemically curing aliphatic acrylic polyurethane coating that is fast drying and has a high solids content. 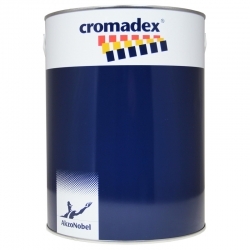 It has a gloss finish with very good gloss retention and should be used as topcoat in atmospheric environments, it can also be applied at sub zero surface temperatures. International Intersheen 579 is a fast drying, single component, modified acrylic finish intended for use as a sealer coat for single pack acrylic intumescent coating systems but may also be used as a cosmetic finish over single pack primers and intermediates.